​Corfu is the second largest of the Ionian Islands, and, including its small satellite islands of Ereikoussa, Mathraki and Othonoi, forms the edge of the northwestern frontier of Greece. The island is bound with the history of Greece and is related to two powerful water symbols: Poseidon, god of the sea, and Asopos, an important Greek mainland river. According to myth, Poseidon fell in love with the beautiful nymph Korkyra, and abducted her. Poseidon brought Korkyra to the hitherto unnamed island and, in marital bliss, offered her name to the place: Korkyra, which gradually evolved to Kerkyra. The island's history is laden with battles and conquests. The legacy of these struggles is visible in the form of castles punctuating strategic locations across the island. Two of these castles enclose its capital, which is the only city in Greece to be surrounded in such a way thus declared a Kastropolis ("castle city"). From medieval times and into the 17th century, the island was recognized as a bulwark of the European States against the Ottoman Empire and became one of the most fortified places in Europe. The fortifications of the island were used by the Venetians to defend against Ottoman intrusion into the Adriatic. Corfu repulsed several Turkish sieges, before falling under British rule following the Napoleonic Wars. Corfu was eventually ceded by the British Empire along with the remaining of the Ionian Islands, and unification with modern Greece was concluded in 1864 under the Treaty of London. Corfu is arguably the most beautiful of the Ionian Islands. This lush and verdant island lies midway between Greece and Italy, set in the northern Ionian Sea at the entrance to the Adriatic. Corfu's gorgeous turquoise beaches tantalize, and the lovely land's allure leaves you wanting more. But if the sun-drenched landscape is not enough, the island's rich history and reputation for hospitality are sure to please you. Because the land is somewhat divided, it is well equipped to please a wide range of tourists. ​The island has a long and colorful history. First colonized by the city-state of Corinth, Corfu has been ruled by the Romans, the Venetians, the French and the English. Corfu Town boasts fortresses bearing the insignia of the Venetian Republic, an esplanade lavishly planted by the French during the Napoleonic Wars, and an English cricket pitch. The island also offers some of the finest coastal scenery in the entire Mediterranean. 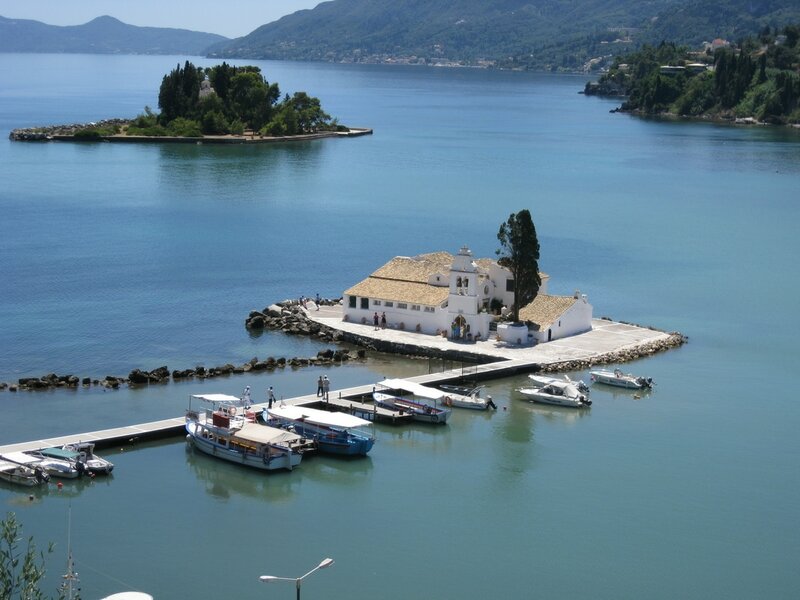 Corfu is the place to be if the classic vacation elements are what you are looking for. The island is encircled by beaches and filled with delicious restaurants, resorts ranging in price from inexpensive (for students) to very expensive, and is home to a vigorous nightlife. Corfu's mainland interior is a quiet, lesser-known haven of villages, vegetation, and agriculture. Most tourists, young people especially, opt for the excitement of Corfu Island, which boasts of having over one million visitors per year. ​Corfu town is a more sophisticated place where the emphasis falls on history as well as Greek, Italian and French culture. Corfu's old town is a mixture of the medieval and the modern. The Esplanade, planted with palms and eucalyptus by the French, leads to the English cricket pitch. Corfu has inspired artists and historians alike. It is said to have been a favorite place of artists like Impressionist landscape painter Alfred Sisley and literary giants like Oscar Wilde and Goethe. Homer's Odysseus visited the island on his journey home, and marveled at its splendor. Shakespeare's The Tempest was inspired by Corfu. Even Napoleon was awed by the land's magnificence. And when you visit, you will quickly realize why so much brilliance has been born in and of Corfu. Its beaches are like no other, and its atmosphere of relaxation is instantly recognizable. For a line of products by Airportag, the best Aviation and Travel Gift Shop, on the Corfu Airport check here! For additional information on Corfu and a selection of accommodation choices, you may consult the relevant Booking page! This brief, but intriguing shore excursion of Corfu takes you to the Monastery of the Virgin Mary and a seaside village that will take your breath away. 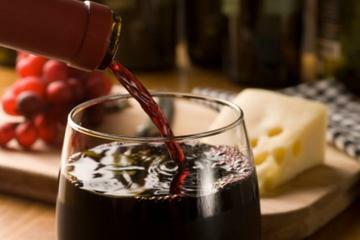 Taste some of the finest wines from local varieties in one of the oldest wineries of the island. 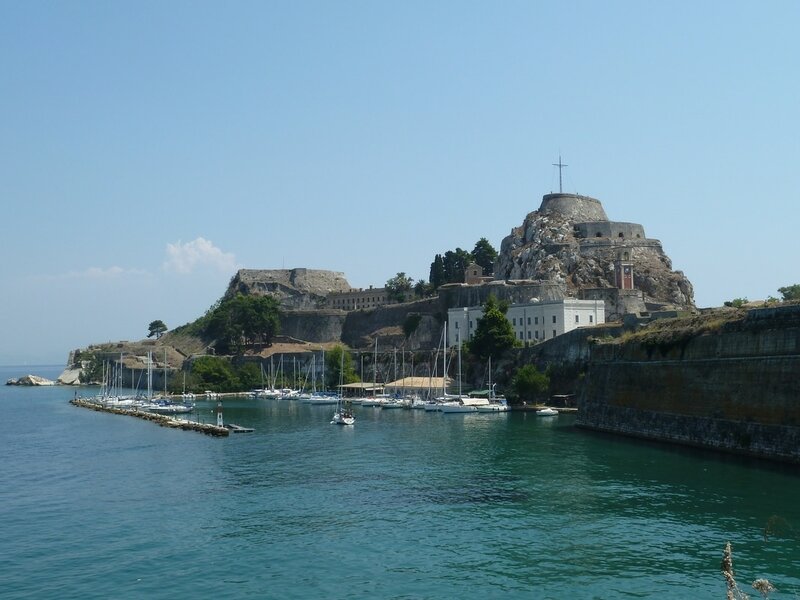 Also stroll through Corfu's Old Town on a walking tour that showcases its historical sites. A maze of cobblestone streets full of old tavernas, cafes and shops, with a 15th-century fortress as its backdrop, Corfu is one of the most intriguing cities in Greece. This 16th-century church, with its prominent bell tower and jewel-adorned silver sarcophagus, is the final resting place of the patron saint of the island. Olive, lemon and cypress groves line the small coves nestled in the rugged coastline of this small seaside village. Located above Paleokastritsa is this ancient cloister, enveloped by lemon trees, a flower garden and breathtaking views. Inside, the chapel offers a museum of Byzantine and ecclesiastical art. This neo-classical palace was built as a summer retreat for Empress Elizabeth of Austria. Gardens filled with flowers, trees and statues in the Italian style, make this a mythical setting. The "Koum Kouat" citrus fruit, a variety of which only grows in Greece's Corfu, is made into one of the island's most famous products - a liqueur with the same name as well as fruit-preserved sweets. Just above Corfu Town sits the Mon Repos villa. Its palace, tiered and pillared with pink highlights and traditional Corfiot green shutters, was the birthplace of Prince Philip, the Duke of Edinburgh. This idyllic landscape is one of the most photographed in all of Greece. The 17th-century Vlacherna Monastery sits at the southern end of the Kanoni peninsula, and Pontikonissi (Mouse Island) just beyond. 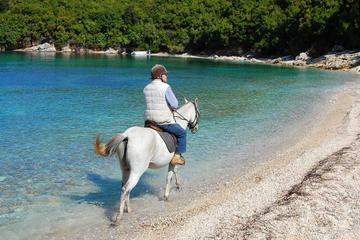 Have a wonderful time surrounded by nature in a unique horseback journey through unspoiled forests, along remote beaches and taking in breathtaking views. Options for both beginners and more experienced riders. Tours vary from about 1-hour to over 1.5 hours and can include pick up from your hotel or cruise ship. 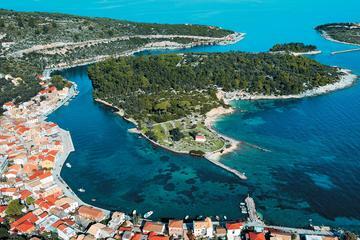 An opportunity to visit the islands of Paxos and Antipaxos, situated close to the southern coast of Corfu, and also the famous blue Caves of Paxos. Swim in the crystal blue waters in Antipaxos and you enjoy Gaios, the traditional village and capital of Paxos.